I’ve had my eye on this baby from the moment I spotted Zoeva in Kuwait (here)! It was just so cute! After lusting after it for so long, I decided to just go for it! There was no one at the Zoeva booth (as per usual), so I had to call over the nearest sales assistant for some erm… assistance. I pointed at the #142, and she pulled open one of the lower drawers, grabbed the brush and handed it to me. Since it had synthetic bristles, I figured I could use it with my ColourPop Jelly Much Shadow or my ELF Cream Contour Palette or anything else that had a cream texture, not just Concealer, making it both practical and cute! This baby was all “Sold Out” (here) the first time around and the sales assistant was pretty snarky. Luckily, the Nars counter was totally abandoned this time, so I just pulled out the lower drawer myself and grabbed this sucka’ up and tossed it in my little basket. I’m pretty sure customers aren’t allowed to open up those lower drawers (this isn’t Ikea lol), but whatevs. I see it. I like it. I want it. I got it. I’ve actually been trying to get my hands on Alkaline for a minute now! It’s actually why I picked up Torch earlier (here) as a consolation prize lol When I saw that Alkaline was finally in stock, I quickly snatched it up! It makes my brown eyes look sorta’ green-y! I just love these Urban Decay 24/7 Liners indiscriminately! I first spotted Unicorn Dust earlier (here), but somehow forgot to pick it up. When I saw it again this time, I made sure to toss it in my little basket right away. I just can’t resist a pretty duochrome! As you can see from the swatches, it’s mostly sheer glitter, but when the light catches it juuust right, it looks all duochrome-y and stunning! Now here’s the stuff I picked up from the “Beauty Friday” counter, which had all sorts of stuff on sale since Black Friday “Beauty Friday”. The last time I checked (here) most of this stuff wasn’t there. That’s how I know for a fact that they’ve added more stuff to that counter since then. Here’s an idea! Keep the “Beauty Friday” booth up year-round (name it something else, obvi), and use it to display discounted items (starting by regularly marking down the out of season items)! I spotted the Overcast Filter Eyeshadow Palette around October in the “Aisle of Doom” (here) and was completely smitten, but didn’t wanna’ pay KD 10 for it. When I saw it again more recently at the “Beauty Friday” counter for only KD 5, I knew it was kismet! First of all, the packaging is gawjus! It’s got double panel (double glaze?) on the front, which just looks extremely aesthetically appealing to me! I tried my best to capture it, but if you can’t tell, the writing is on top panel and the picture is on the lower panel! So cool! Also, the concept although nothing new is quite cute and very on-trend! From the shade names to the shades themselves, each palette is designed to play in to its designated “Filter” theme (and you all know how much I love me a good theme)! Sephora Eyeshadows and Eyeshadow Palettes are notoriously awful, but I just couldn’t resist these two! That’s why when I saw both the Overcast Filter Palette and Sunbleached Filter Palette at the “Beauty Friday” counter and at a significantly reduced price as well, I snatched them up immediately! Good things do come to those who wait! The shade Berlin Underground has my name written all over it! I could see myself getting a ton of use out of Cozy Sweater! Possibly #HappyDays too, but Getaway is where I’m happiest and most comfortable! You know what? I just really like this Eyeshadow Palette as a whole! It’s just so… me! I guess I kinda’ got all caught up in the moment lol because typically I wouldn’t purchase an Eyeshadow Palette with shades like these. That said, Swell looks swell! The rest of the shades are kinda’ cute too, I suppose. For that price though, I’m not mad at it! 7 years in the making! Can you believe that? I saw people swatching this baby on YouTube way before the release date and have been obsessed with it ever since. In fact, I made it sort of a ritual, to walk up to it, at our local Sephora, and just stare at it, with hearts in my eyes! I’ve actually included it in some of my earliest Spotted at Sephora posts (here and here)! However, since I already had several dupes of each of these shades from ColourPop, I couldn’t justify purchasing it. Once I saw it at the “Beauty Friday” counter and for that price? I couldn’t justify not getting it! 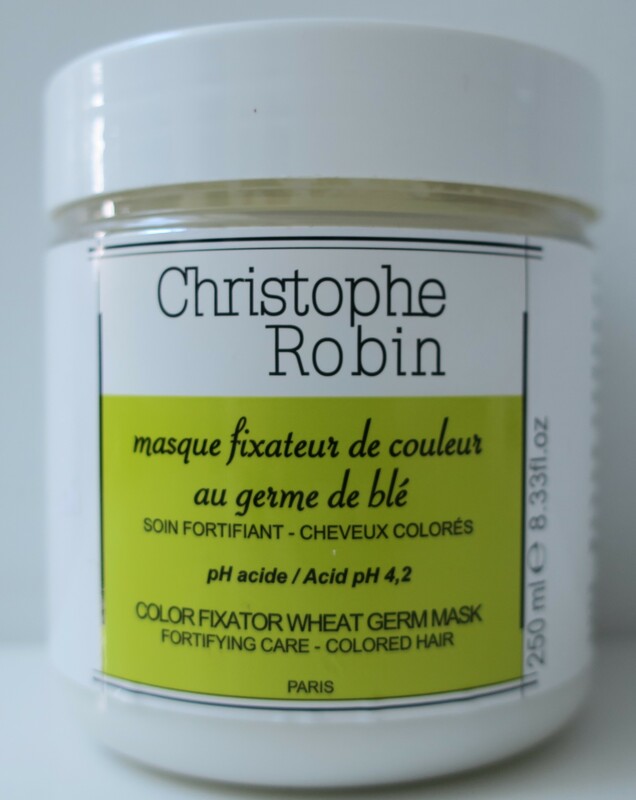 Use this fortifying mask after applying the color fixator wheat germ shampoo. It protects color beautifully thanks to its acid pH, which prevents pigment loss. Use 1 to 2 times a week. My roots were showing (I hadn’t dyed my hair since the summer) and it was bad! Since I was due for a touch-up soon (I was actually due months ago lol), I thought it would be prudent to pick this thing up. I’m not actually sure what it does, but it had “Color Fixator” in the name, which was good enough for me! Plus, I’ve already tried stuff from all the other Hair Care brands at our local Sephora, but nothing from Cristophe Robin yet. Plus, it was on sale! The little shelves that have cute little minis and travel size items facing the check-out counter always get me! In the interest of full disclosure, it’s more cost effective to grab the full size because you get more bang for your buck (I mathed). A hydrating primer that instantly photo-filters skin imperfections for long-lasting makeup application. Sadly, I’m all too familiar with having a “Bad Hair Day”, but having “Bad Face Day”? lolwut? 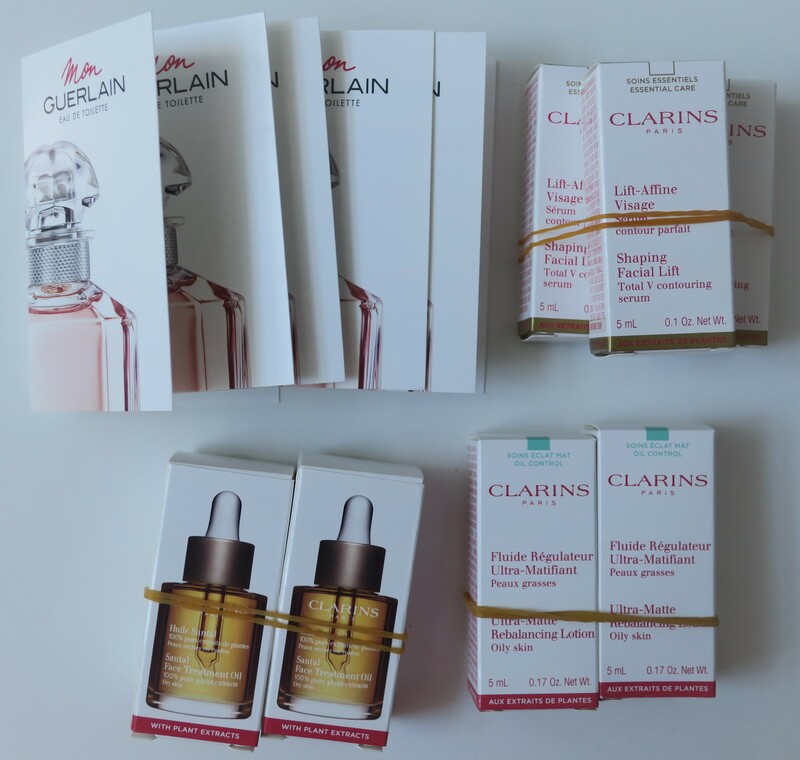 Despite the fact that I already own the Clarins Lavender S.O.S. Primer (haulage here) and the ELF Cosmic Holographic Lotion (haulage here) which are both essentially the same thing, I was still a bit miffed about missing out on receiving the 3pc Brand Gift from Becca as a 200 Point Perk (at the end of this post) (at the start of this post) which included a travel-size First Light Priming Filter (which is pretty much just like the previous two I just mentioned). So, I decided to just go ahead and buy it for myself. It’s yet another floral. Maybe it’s because they’re slowly growing on me, but I kinda’ don’t hate it! There is a sharp note that I dislike (possibly Lavender? ), but it’s there’s also a powder-y note and once it dries down some sweet notes and sandalwood-y notes making Mon Geurlian Eau de Toilette and all together surprisingly pleasant scent! I went over most of the Kilian fragrances in a previous post (here) and these are the x2 sample vials I manged to accumulate during that same visit. As I’ve said, the scent on Black Phantom (Memento Mori) was exquisite! I did end up spending KD 59/600 ($196), but it was on a bunch of stuff that I’d been lusting after for a minute now (except for the Hair Mask which was more a spur of the moment thing). Plus, all three Palettes I got had been significantly marked down! I also got a few skincare samples but that was… whatever lol More importantly, I’d even managed to wrangle a few fragrance samples (no small feat) which in my eyes, justified this entire visit! Do let me know how the mascara is. I have heard a lot of good things about this one. Honestly, I kinda’ don’t like it. If you’ve got nice lashes to begin with, then this is for you. In my case, my pitiful lashes need a little more direction lol which Nars Climax just doesn’t provide. Don’t quote me on this, but I feel like it would work better on girls with either longer lashes or rounder eyes. Hope this helps!